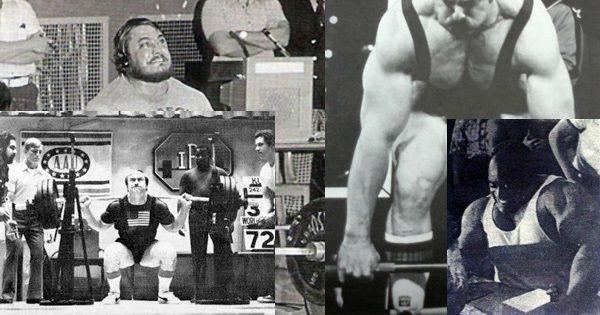 Since I am neither a highly skilled writer, nor a highly skilled powerlifter, I was quite complimented when Rip asked me to prepare an article, detailing what a strength athlete might encounter at his first powerlifting competition. Lifters have various reasons for competing, and I don’t pretend to know all of them, but I do know my reason – I wanted my training to count. A little background first. Like a lot of lifters, my first experiences in the weight room were as a high school football player. And, like most high school programs, the training was pretty awful, but progress was still made, and by the time I was 17 I was a pretty strong kid. Even though the programming and technique were fairly horrendous upon looking back, it is funny how a routine that basically focused on squats, cleans, and bench presses still managed to produce some results. However, as the glory days of high school football faded into the past, I found myself still wanting to train, but with nothing to train for. At this point in my life, I’m not sure I even knew what powerlifting or weightlifting was, much less knowing anybody involved in either sport. It never occurred to me that there might be reasons other than the size of my arms or the cuts in my abs to be in a gym. Lacking the talent to play any type of meaningful collegiate sport, I found myself routinely in front of the mirrors in a Gold’s Gym in College Station TX, pounding away at one bicep curl variation after another. The fire in the belly to train – and train hard, and to eat heavy too – was most definitely there, but unfortunately for me I had no outlet for this passion, and no one to point me in the right direction. Flex magazine served as my only coaching authority. For me, the time between age 18 and 24 was basically spent maintaining a physique that probably could have won most small level bodybuilding competitions (although I never had the urge to get up on stage in my underwear), but not really getting any stronger or making progress in any sort of meaningful way. And yes, it is possible to be very big but very weak. I could knock out a 3 minute long drop set on a leg press machine, but I doubt I could have squatted 425. I could get a pump in my chest off of a Hammer Strength machine that would test the stitching on my shirts, but I don’t think I could have benched 315. Cleans? What were those? That’s a football exercise. I hadn’t even thought about a clean since the off-season of my Junior year of high school. Around age 24 something unexplained happened. I walked into one of the gyms at Camp Pendleton one evening to begin my workout (at this point in my life I had decided to leave college and join the U.S. Marines). I think it was a Thursday night, so it would have been Shoulder and Tricep day as had been the case every Thursday for the past 6 or 7 years. As I was changing out of my uniform in the locker room, I found myself not wanting to be there. I wasn’t hurt, I wasn’t tired, I didn’t have any personal issues going on at home. I just had no motivation to train. As I started to mentally plan out the night’s workout in my head, something hit me like a big rock on the head. All of a sudden I came to the conclusion that I didn’t care how big my shoulders and triceps were anymore. I was never going be a bodybuilder. I didn’t want to be a bodybuilder. Why was I training like one? What was I doing here? Why was I worried about prioritizing my medial deltoids and the outer head of my triceps? At 24, I had already been married for 3 years and had served in 2 combat deployments overseas. I guess you could say I had grown up a little bit, and the vain concerns I had had about my physical appearance were starting to fade. In fact, for me, they didn’t just fade. I lost interest overnight. Fast forward a few years ahead and I found myself just recently discharged from my enlistment in the Marines and trying to start a new career. I got hired as a personal trainer at a small private studio here in Houston TX. The man who owned the studio was a powerlifter, named Gary. We started training together a little bit after work and on the weekends. He began teach me a little bit about his style of training. At the time, I was still basically training like a bodybuilder (albeit with much less enthusiasm), as I really didn’t know that there was any other way to train. For me, training “back” still meant Lat Pulldowns, and Hammer Strength Rows. For him, it meant heavy Rack Pulls, Reverse Hypers, and Goodmornings. For Gary, high reps meant 5. I rarely went below 8 on anything. I was bigger, but he was stronger. This vexed me. One Saturday, we shut down the studio early and he took me to a gym called “The Power Station” owned by a guy named Tiny Meeker. To me the gym was kind of a dump. No Hammer Strength, Icarian, or Cybex machines. No cardio equipment. I saw three cages, some benches and inclines, some dumbbells, and one lat pull machine. Well, at least they had SOME machines. When I met Tiny I was taken aback. First off, the man is anything but Tiny – easily over 300 lbs, his forearms were the size of my quads and his shoulders looked like 2 bowling balls under his shirt. I didn’t know at the time, but Tiny is a world record holder on the bench press, regularly handling over 900 lbs in a shirt and 600 lbs for a world record set of 10. Anyway, Tiny was promoting a powerlifting meet that was being held in two weeks. He asked me to sign up for it after watching me and Gary do a deadlift workout. What was I gonna say to a guy that bench presses 1,000 lbs? So I did the meet, and amazingly enough I won my division. I’ve been hooked ever since. So looking back from that day until now, I have learned quite a bit about the sport and am still continuing to learn each and every time I do a meet. My hope is that my experiences in the sport of powerlifting might encourage you to sign up for your first meet. I think that the most useful approach to take is the chronological. Let’s start before the meet ever begins, and work through your last attempt on the platform. The first thing to do is sign up for a meet. To sign up for a meet, you first need to find a meet. There are a lot of powerlifting organizations out there, and I am not going to run through them all. I personally compete in an organization called N.A.S.A. My reasons for doing so are multiple, but the most important reason is that they hold meets in and around the Houston area, where I live, several times each year. This is important for me. Powerlifting is a hobby. I have a wife, 2 kids, and a small business, and I don’t have the time or money to fly all over the country pursuing a hobby. A good website to visit is powerliftingwatch.com. They have a comprehensive list of lots of different organizations you can choose from. Visit the different organizations’ websites and look for meets that might be coming to your local area in the next several weeks or months and gather as much information about the meet and the organization as you can. I am not going to venture into the “Geared vs. Raw” debate in this article, but for someone competing in the sport for their first time, a “raw” or “unequipped” meet is probably the best choice. Squat suits and bench shirts add another layer of difficulty to your first time ever competing and you don’t need to worry about that right now, especially if you are going at this alone or with another inexperienced competitor. After you get together a list of a few meets held in your local area, you need to pick up the phone or send some emails to the meet director. Let them know that you are a BRAND NEW lifter and want to sign up for a competition. Ask the director if this particular meet is an appropriate venue for that. You may also want to ask about what division is most appropriate for you, along with any other questions you might have. Once you make your decision, you need to go ahead and mail in your entry fees for the meet. Most likely, you will also have to send in some sort of membership fee for whatever organization you are competing in. Expect to pay between $50 and $100 for membership dues and meet entry fees. Now you are committed. A word now about weight classes. When you mail in your entry form, you will most likely have to specify the weight class you are going to be competing in. For your first meet, you are not going to worry about this too much. You just enter whatever class suits your current weight. Do not worry about dieting down, cutting weight, etc. You can worry about this stuff later on. As you move up the ladder of competition, you will find out which weight classes are appropriate for you. Generally speaking, unless you are a 308+ lifter, you shouldn’t be carrying a whole shitload of body fat. If you weigh 220 lbs and are fat, then a leaner 220 lb lifter will most likely beat you every time. Why? He has more muscle. Research your organization’s Rules and Regulations. Don’t wait to do this the night before the meet. Different organizations have different rules for competition. Some organizations require lengthy pauses on the bench press, others are basically touch-and-go. Different organizations use different verbal commands for the lifts from the judges and have varying judging criteria. Paused bench presses and verbal commands will likely be new for the first time lifter. You need to be sure and work those things into your training leading into the meet. I bench 405 touch and go, but my best paused bench is only about 385. A long pause makes a difference. Additionally, not knowing the commands can cause an otherwise good lift to get disqualified. You might squat an all time PR, but if you rack it before the judge says “RACK!” then the lift will not count. Don’t do that to yourself. You need to know these things in order to train properly. Go over things like attire, and equipment regulations. All organizations will require the use of a singlet. You can order these online through equipment makers like Inzer, but even a wrestling singlet is fine. Order it early in case it doesn’t fit right. You may need to exchange it. Supportive gear is a big issue as well. Read your organization’s rules on what is allowed and what is not allowed. We have already established that you won’t be competing in squat suits and bench shirts, but things like belts and wrist wraps have regulations in length, width, etc. If you are competing “raw” or unequipped, make sure you know what your organization’s definition of that is. In N.A.S.A., where I compete, “unequipped” allows the use of a belt, wrist wraps, and knee wraps. Other organizations that define themselves as “raw” or unequipped do not allow the use of knee wraps. I think there is one organization that does not even allow belts. Either way, you need to make sure your gear is compliant. Every lifter should compete with a belt. Wrist wraps are a good idea for benching and squatting, but not essential. Knee wraps are an individual choice, but if you are going to use them to compete you need to work with them a little bit in your training, so you are at least efficient at getting them on. Don’t be the guy that is still trying to wrap his knees while the judge is calling you. Also, don’t be the guy who is walking up to the platform with loose wrap ends hanging out all over the place. There are some decent videos on YouTube that illustrate how to properly wrap your knees. Really, this topic could easily be formatted into an entire book, and already has been by authors smarter than me. 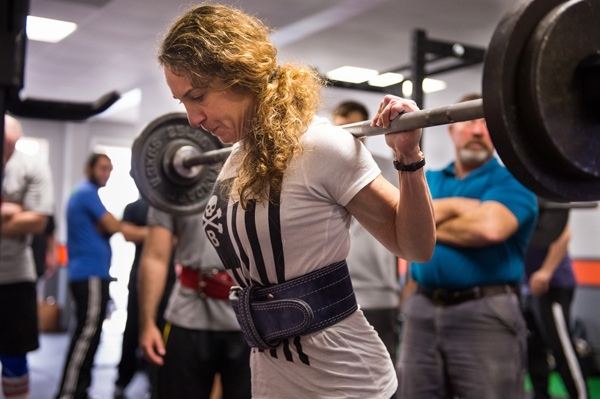 There are lots and lots of ways to train for powerlifting, one not necessarily being better than the other. Without endorsing one particular program, I will attempt to hit on a few key points to setting up a successful cycle. Keep in mind that we are addressing a first time competitor who will only be a few weeks or months out from his first ever competition. 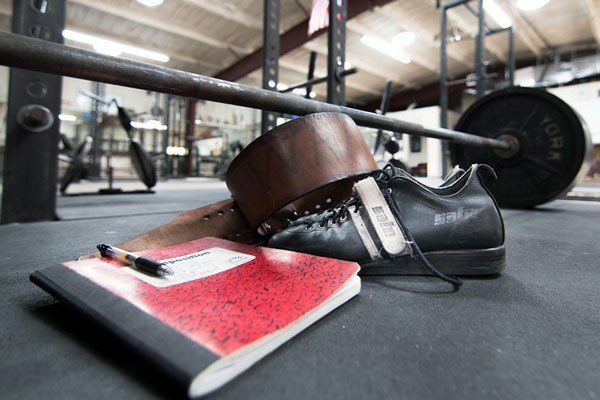 What you are doing now may or may not be conducive to preparing you for a powerlifting meet. My advice is only to change programs if it needs changing. If you are doing a program that is getting you stronger on the squat, bench press, and deadlift, don’t change it. If you are doing one of Bill Starr’s old programs and getting stronger, then don’t switch to Westside just because you read on the internet that it is the best. Both styles of training work (as do other styles), but switching from one to the other right before a meet is generally a very bad idea. That being said, if your current training does not have you regularly practicing the three power lifts in a manner that gives you an accurate gauge of your current level of strength, then you need to make a change to something more suited for the sport. This change does not necessarily mean that you need to test your one-rep max right before a meet. In fact, I would urge you NOT to take out a 1RM just before the meet unless you want to waste a personal record in the gym rather than do it on the platform. On a calendar, work backwards from the meet date until the present date. Meets will occur on a Saturday. I generally make my final training session occur on the Tuesday or Wednesday of meet week. Now, count back toward the current date to figure out how many training days and weeks you will have between now and the meet. This will obviously vary depending on the number of days per week that you train. Now you can assign the exercises and training loads to each particular session leading up until the meet. This is Rip’s soapbox, but it certainly applies here. If this is your first ever powerlifting meet, then you are by definition a novice or intermediate lifter. To some extent this will dictate how you set up your training cycle, especially in the final two weeks prior to the meet. I am not going to go into every possible way to taper for a meet, but take solace in the fact that tapering only really gets complicated at the advanced level. An advanced weightlifter might need a month or more to start tapering and peaking for a meet. You don’t. Do not make the mistake of overcomplicating this scenario. 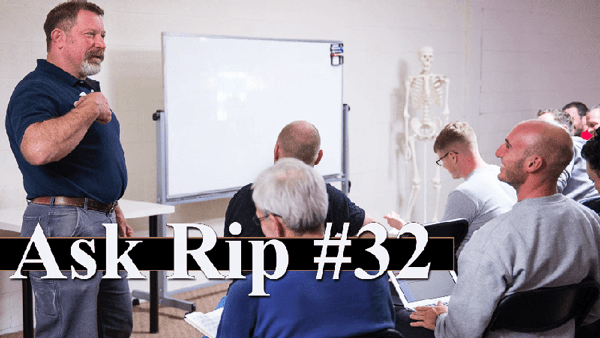 We will use an example that most people reading this article will be familiar with to illustrate a proper taper: a novice lifter following Rip’s Starting Strength Program. In the week prior to the meet, nothing will change. He will train on Monday, Wednesday, and Friday trying to set new PR’s for sets of 5 on all the basic lifts. The week of the meet will not be much different either. Monday will be a normal training day, but using the reverse engineering principle referenced above, we will have manipulated the A/B rotation of training days so that this workout is going to consist of Squats, Bench Presses, and Deadlifts. Wednesday will also be like normal, and we will have manipulated the program so that we Squat, Press, and Power Clean on this day. Suppose our lifter is nearing the end of his initial novice progression and the 3x5 Squat sessions are really becoming a grind. In this case I would also drop about 10-20% off of Wednesday’s squat session to constitute a slight deload. We would then take Thursday and Friday off and compete on Saturday. 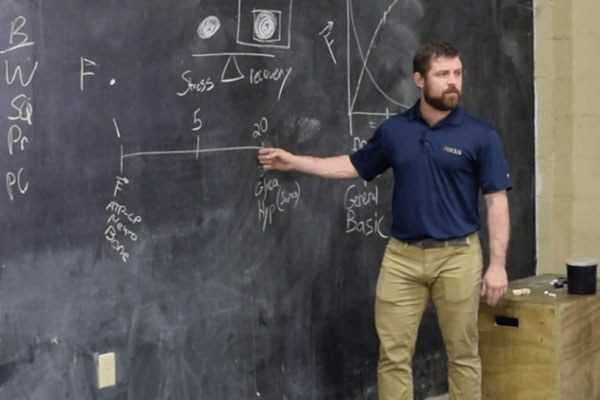 A slight deload on the squat coupled with two days of rest would most likely constitute a proper taper for a lifter at this level of advancement. (Advanced tapering cycles are beyond this article and this author, but if you want to see a detailed version of how I tapered my own intermediate level training program for the N.A.S.A. Grand Nationals in July of 2010, please refer to my training log on the Starting Strength.com Forums). So Meet Day is finally here. You’ve got all your paperwork done, all the proper attire in your gym bag, all your equipment is legal, and you know where to be and at what time – hopefully. When you mailed in your entry forms, there should have been clear cut information about the start times and locations for weigh-ins, rules briefings, and actual lifting. If you aren’t sure about where to be or when, then call somebody and ask. Running late or getting lost on the way to the meet only adds to the stress of an already stressful day. Most organizations have weigh-ins the night before the meet and the morning of. For your first competition it doesn’t really matter when you weigh in. Just make sure that you get weighed by somebody with a name tag. When you turn in your weigh-in card to the officials, you may also be asked for a “rack setting.” This refers to the squat rack height that you want. Since this is your first meet, you won’t know it, so you will need to go out to the squat rack and see where you want the bar set up at (this assumes they will have the racks set up already). Then you will write down on your card the pin setting you want. When it is your turn to lift, one of the judges or the meet announcer will have your card and will tell the spotters and loaders where to set your rack. Rules briefings generally occur after everybody is weighed in and about an hour before the lifting starts. Officials will basically go over all the rules about equipment, attire, verbal commands, etc. This should be review for you since you have gone over this information multiple times between then and now, but pay attention anyway. Sometimes organizations change their rules and maybe the new change did not get updated on the website. This is your time to ask questions if you are fuzzy on something. Do it, and don’t be afraid to let the judges and officials know that this is your first ever competition. They should be more than willing to make sure that you have a positive experience and to offer help and advice where they can. In a meet, lifting occurs in “flights.” You need to figure out what flight you are in (normally this is posted up on a wall somewhere), and also who is in the flight in front of you. This will let you know when you need to be warming up and when you need to be resting, etc. It might be a good idea to identify another lifter in your flight that has some experience in competition and follow his lead. All I can say is to expect the unexpected, and be prepared for less than ideal conditions. We all get into routines and habits in the gym. We squat with the same bar, in the same rack, with the same plates, all while taking ideal rest periods between sets. Meet conditions can sometimes throw us off. Ideally the equipment in the warm up room should match the equipment out on the competition platform. I have been to meets where the warm up rooms were first class. 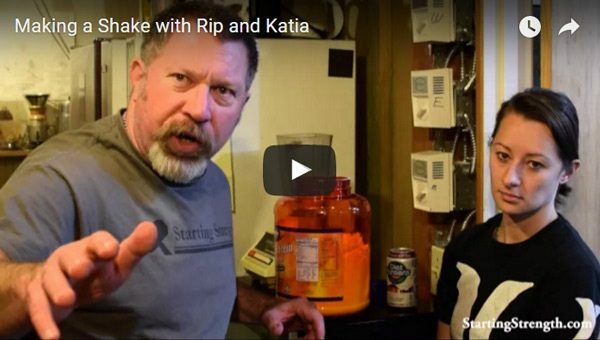 Lots of quality bars, racks, plates, chalk, etc. I have also been to meets that were very poorly run – bad bars, bad platforms, not enough racks, no chalk, etc. Again, there is ideally a meet official in the warm up room, keeping lifters apprised of the time situation. However, be prepared for a scenario where you get warmed up, hit your last heavy set, and then sit for 30 minutes before your first attempt. In a well run meet, this doesn’t happen, but it happens enough elsewhere that you should be prepared for it. I have been in situations where I hit my last heavy set and then went back in the warm up room every 5-10 minutes and did a light triple with 225 just to keep from getting cold. Don’t miss your opener-especially in your first meet. Pick a weight you KNOW you can get and then go from there. Remember, in powerlifting you cannot go down and try something lighter if you miss a weight. That only happens in the gym. Go 9 for 9. You only get credit for your heaviest lifts, but the goal of the first meet is to gain as much experience as possible and to build as much confidence as possible lifting under meet conditions. I like to see a lifter go out there and have 9 successful attempts on the platform for their first meet. Go heavy, but go with numbers you are confident you can hit. Don’t chase other lifters. So the guy after you just squatted 501. Your gym best is 455. Don’t try 507. For your first meet especially, you compete against you. Do your best on all three lifts, place where you place, and you will have won. Some new lifters do not realize that a big powerlifting meet can be an all day affair. It is not like a gym session. There will be long delays between squatting, benching, and deadlifting. You will need to have food and drink on hand. My suggestion is to bring food that is centered around high-glycemic carbohydrates and low fat sources of protein. During a meet, it is preferred to have rapidly digested food. Complex carbohydrates and fat tend to slow down digestion and food will sit in the gut longer. A jug of diluted Gatorade and a little whey protein is good to have on hand to sip on throughout the meet. Somewhere around the midpoint of the meet, you will probably want something solid. Something like plain tuna sandwiches on white bread is a good idea. For breakfast, I like something pretty substantial. I usually hit up a diner and get something like scrambled eggs, pancakes, and sausage. (Hint: sausage is loaded with sodium, which is a good thing before a meet). Same goes with the night prior. I really like to load up on a meal that concentrates on saturated fat, starch, and sodium. That being said, you don’t want to venture into uncharted territory with your food selections. If you are a strict adherent to the Paleo Diet, you may not want to go crazy with the pancakes and sausage. The unfamiliar rich foods, combined with the anxiety of the contest might produce unwanted GI distress, diarrhea, acid reflux, fatigue (i.e. “carb coma”), etc. Stick with foods that you are familiar with. Just make sure you have enough gas in your tank to make it through the day. Here is where the value of competition really comes into play. Having just objectively tested your skill and strength in a very legitimate manner, you will walk away from the meet with a clear picture of exactly where your strengths and weaknesses lie. Is there one lift that is overwhelmingly holding back your total? Is your form inconsistent? Are you way too small for your weight class? Did the assistance exercises you used in your training program help drive progress or waste time? This makes the planning of your next training cycle much easier and more effective. Believe me when I say that this is the BEST way to help plan your training. It will let you know exactly where to put your focus. And every meet you do from here on out will only enhance this process. Not only will you have learned something about yourself and your own lifting but you will have had the opportunity to watch dozens of other lifters as well. Identify the characteristics of the guys who win and the characteristics of the guys who lose. For instance, the guys who win tend to have big backs and big hamstrings. Do you have a big back and big hamstrings? If not, maybe time to hit up some heavy stiff-leg deads during your next training cycle. 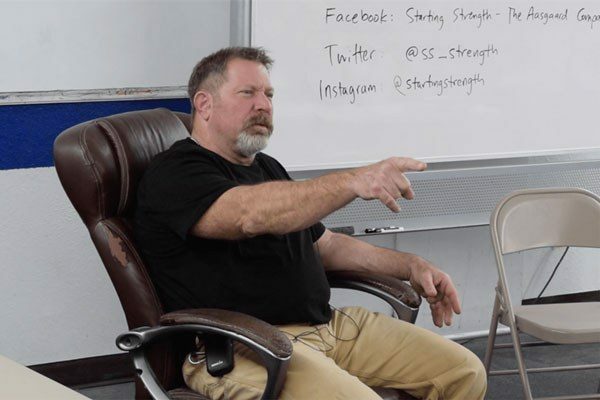 This of course is just an example, but watching and speaking to other experienced and successful lifters at a meet is a great opportunity to learn about the physical and mental aspects of training and competition. What if I had spent those years focused on driving up my deadlift and my squat? What if I had spent those years competing? Learning. Focused. Driven to one small goal after another. Who knows? Fortunately I am still relatively young and have plenty of time to get stronger and have success in the sport. Do you? Now do yourself a favor and sign up for a meet, and then come back and teach the rest of us what you learned.